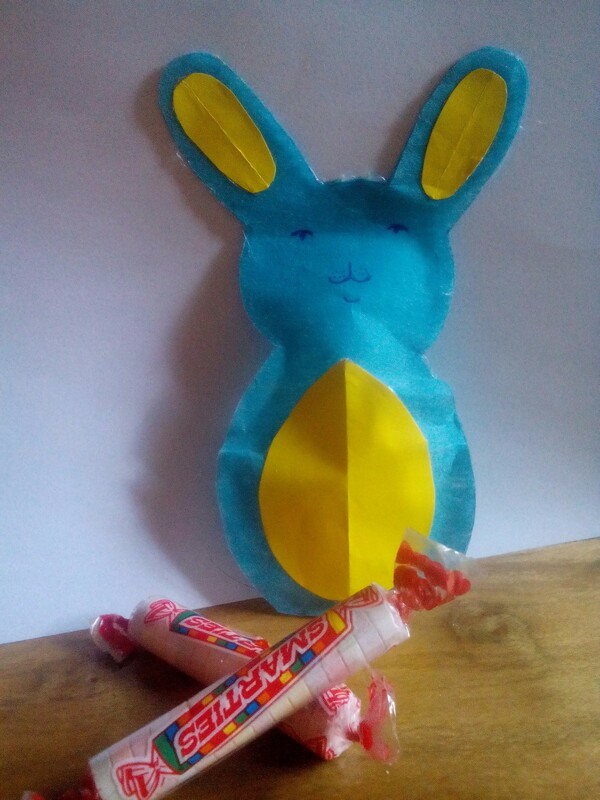 Let's have fun and share handmade treat packs with kids celebrating Easter. Make fancy bunny packs to hide around your house for the kids to find. 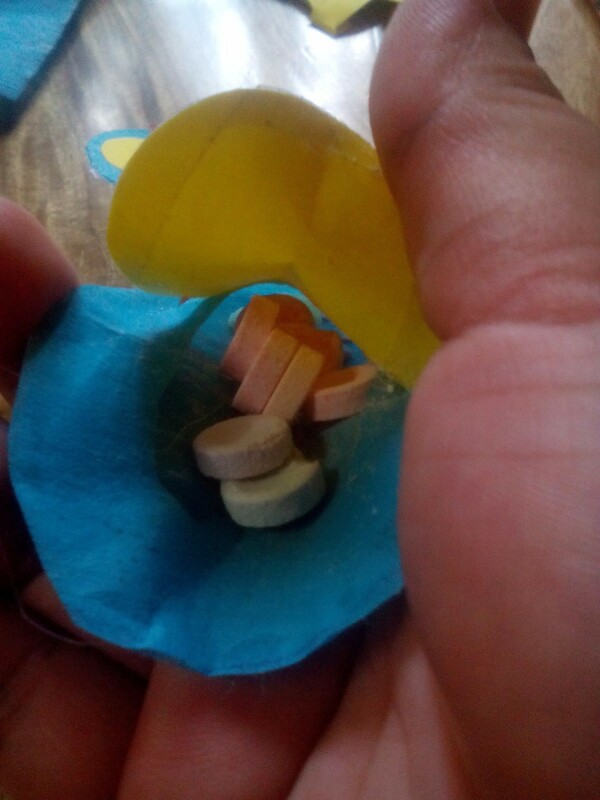 They'll enjoy searching for the bunnies instead of Easter eggs. 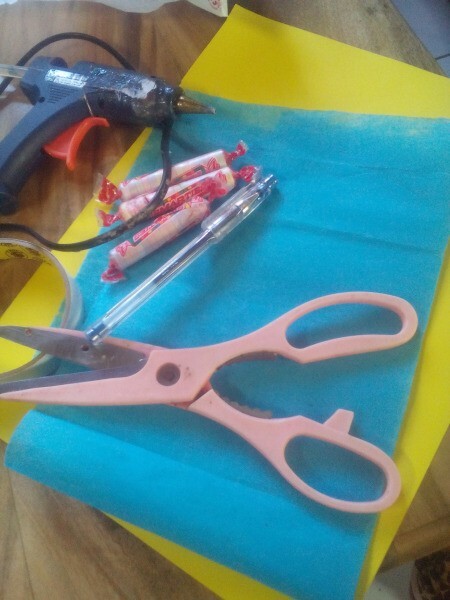 Cut a lengthwise piece of the felt wrapping paper. The size will depend on your personal choice. 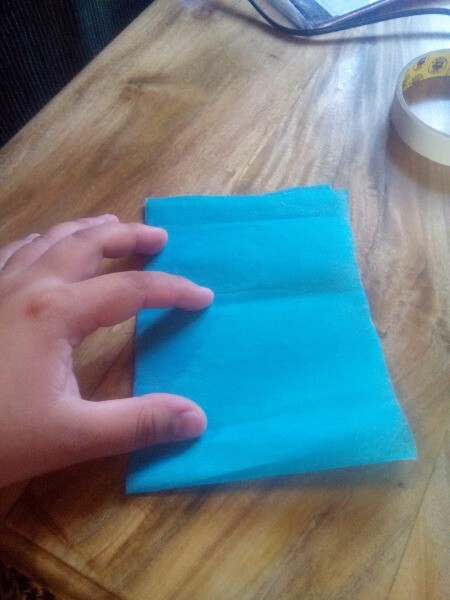 Fold the felt in half. 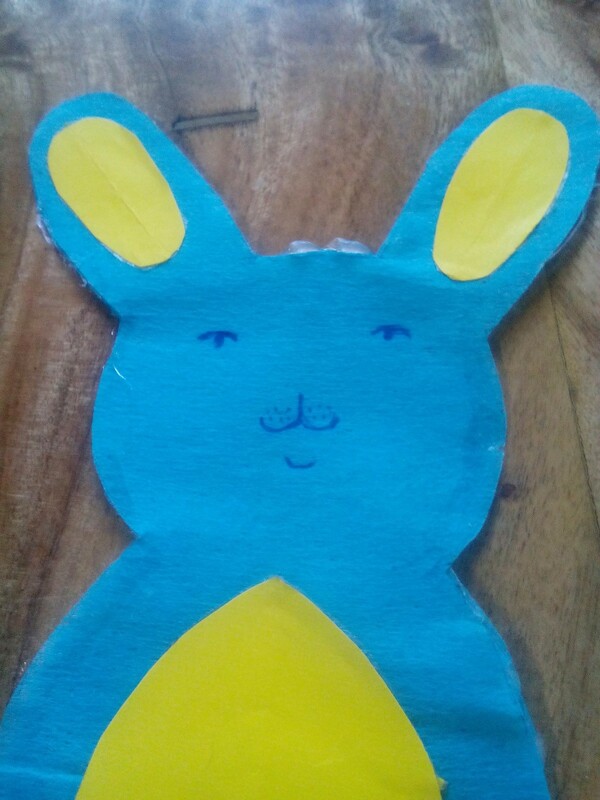 Draw a bunny using your pen or pencil. 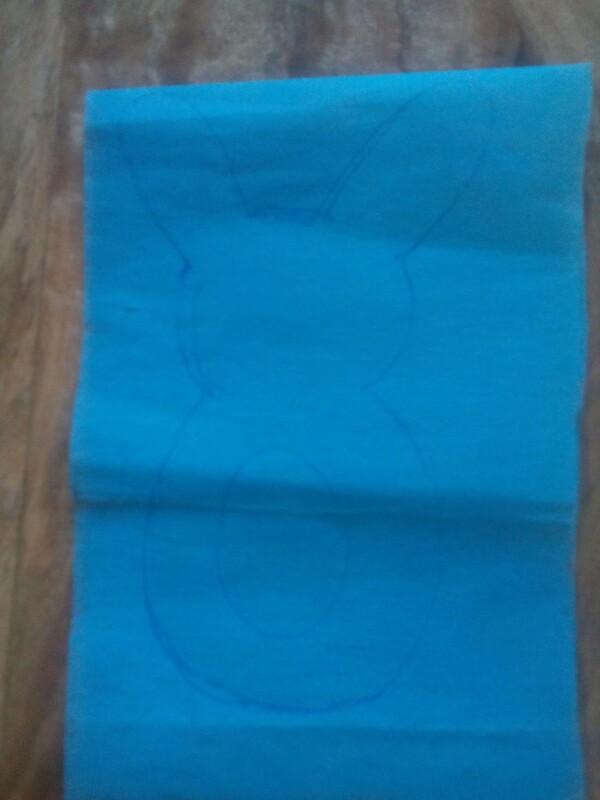 Draw a small round shape on its tummy. 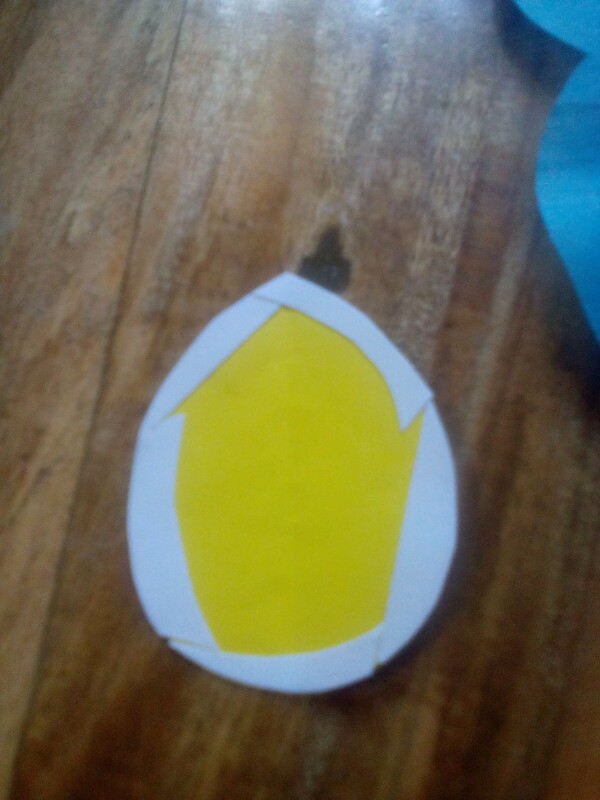 Cut out the drawing. 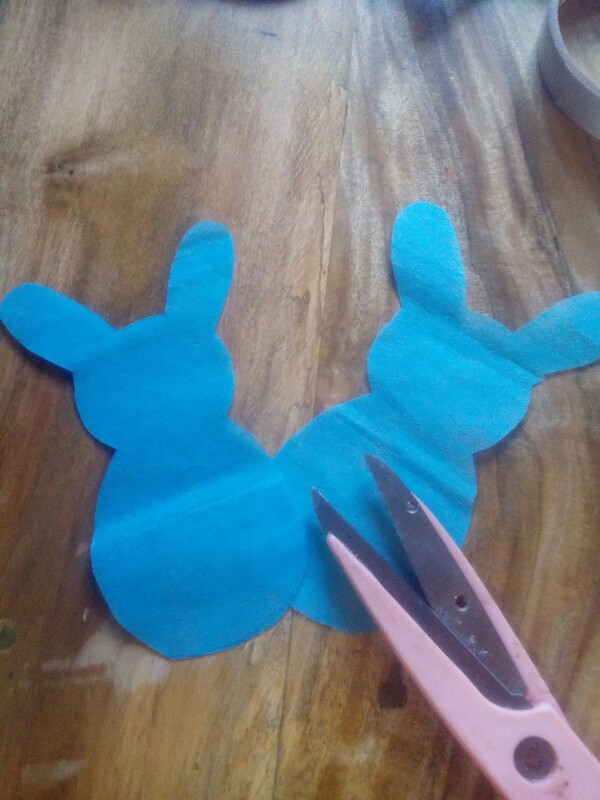 The purpose of folding is to have two bunnies the same size. 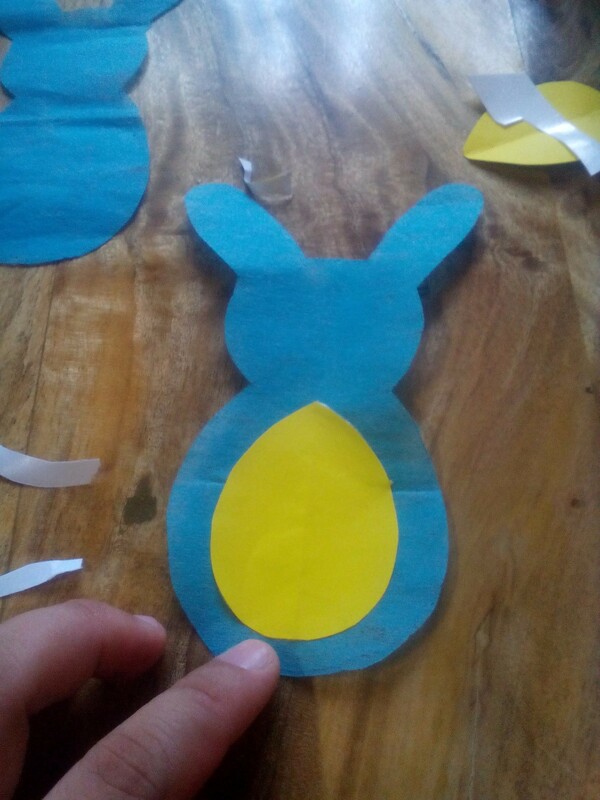 Get one piece and cut out round shape on its tummy. Trace this round shape onto a different piece of colored paper. Make it a little bit bigger than the original size. 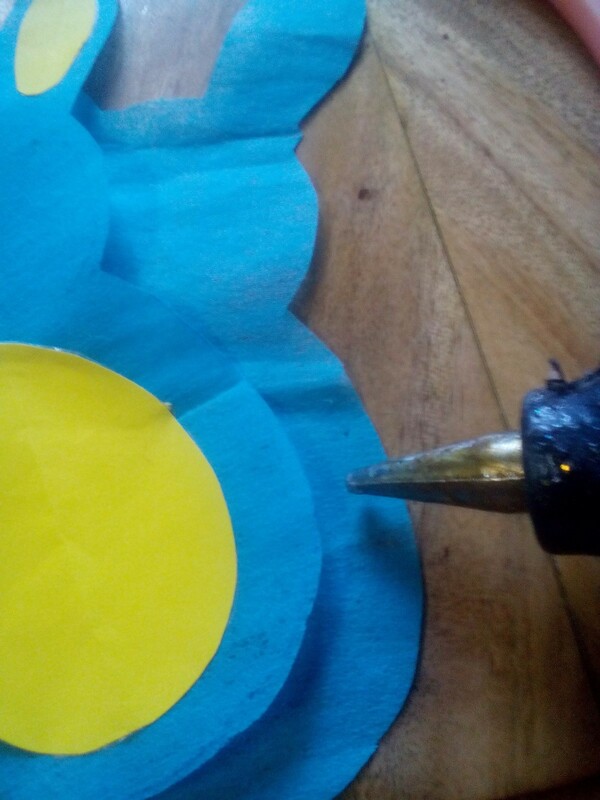 Cut it out. 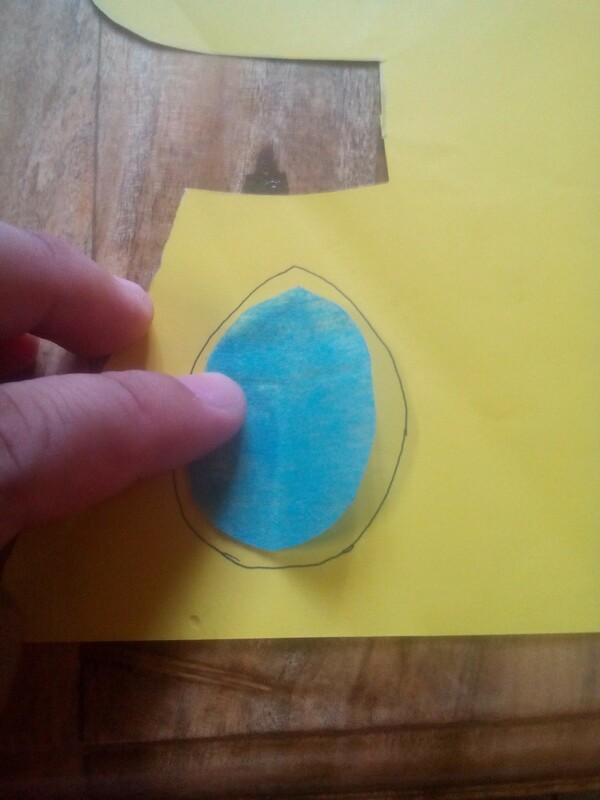 Stick double sided tape on the sides of the round/egg shape. 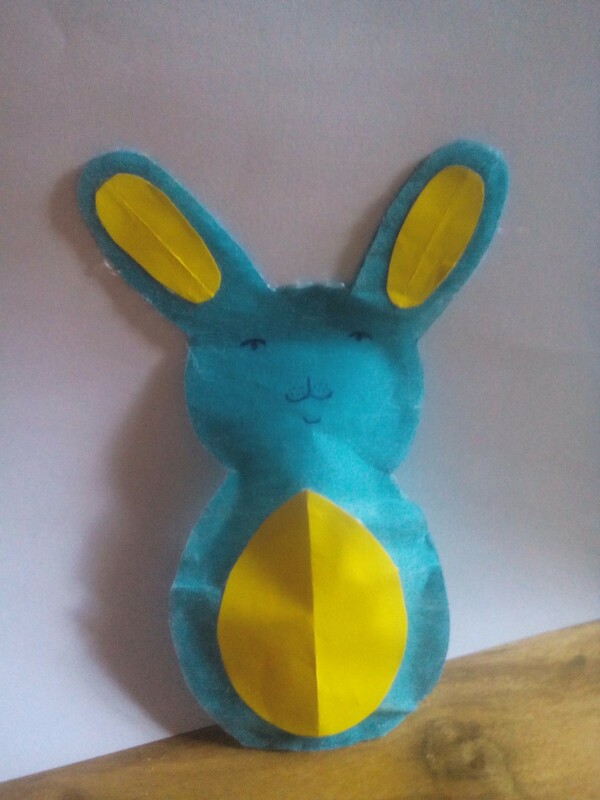 Stick over the hole on the bunny's tummy. 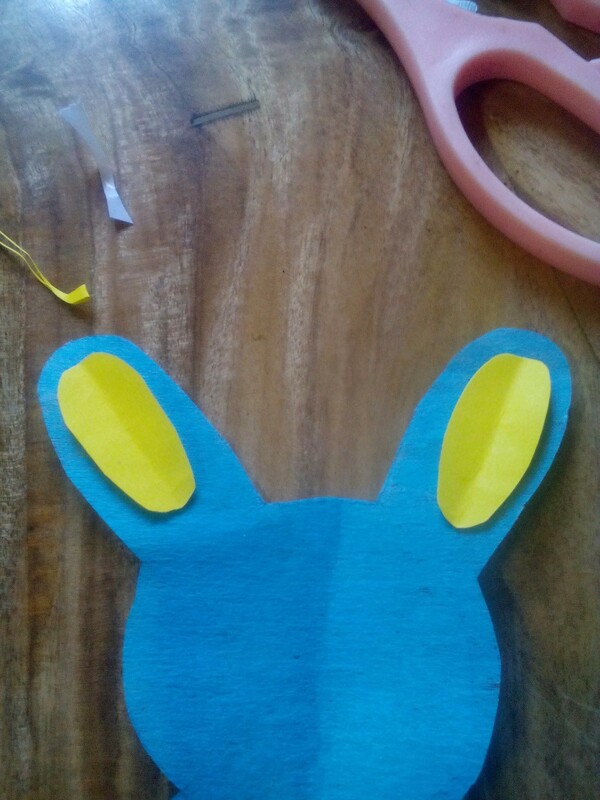 Cut out two small oval shapes and stick onto its ears. 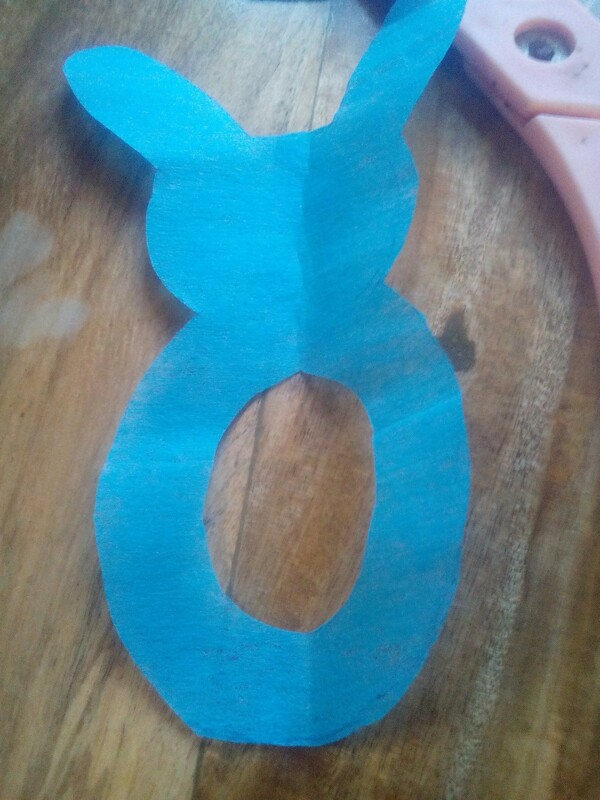 Glue the two bunny shapes together. 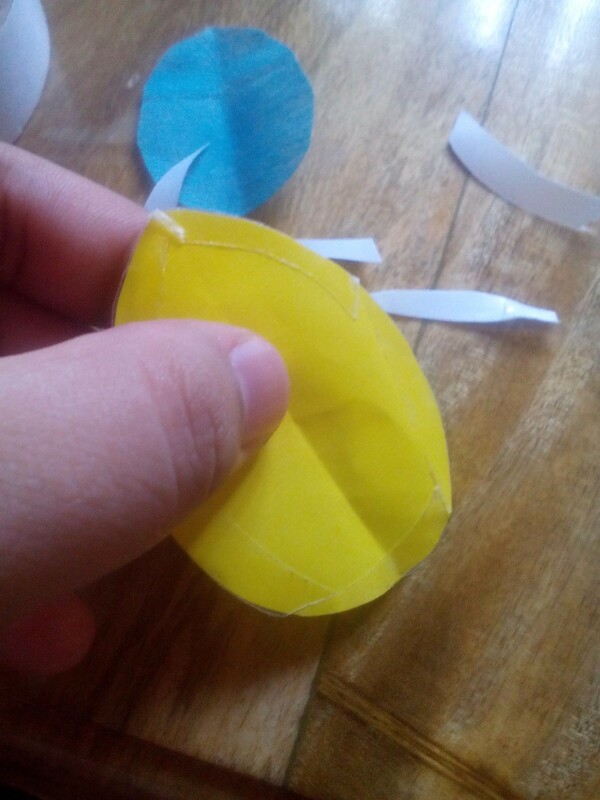 Open the round seal (the round shape on the tummy) and fill with candies. 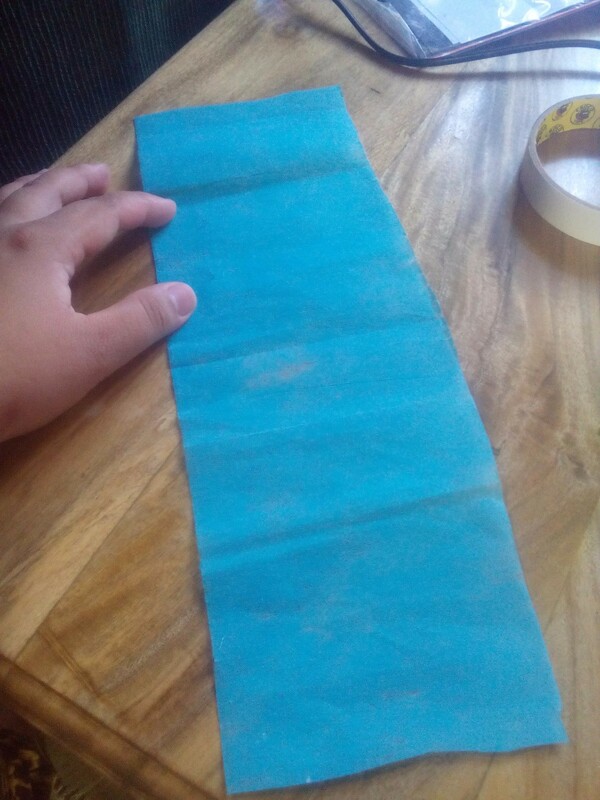 Seal it back up and you're done.